Maximum Altitude : : 3870m. Everest Sunrise view trek is easy and can take any age of people. It has been designed especially for those with limited time and wanted to experience Himalaya and Sunrise view of Mt Everest. The Trek to Namche Bazaar, Khumjung and Tyangboche with our experienced guides and enjoy bustling Sherpa village surrounded by some of the highest mountains in the world. 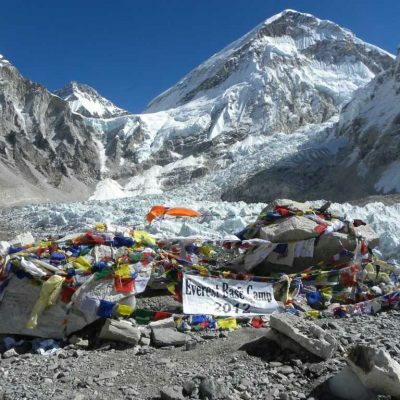 This short Everest view trek will take in stunning views of Himalayan giants Everest, Lhotse, Nuptse, AmaDablam and many more. Fly To Lukla – Phakding (3-4 Hours) – 2,652 m.
Free day in Kahtmandu incase weather bad when fly from Lukla to Kahtmandu. Brief about the trip. Welcome dinner in the evening in a typical Nepalese restaurant. KATHMANDU – LUKLA – PHAKDING (3-4 Hours) – 2,652 m./8,700 ft.
Take early Morning flight to Lukla, and start trekking to Phakding (3-4 hrs) -2,652m/8,700ftWe fly by a twin Otter Aircraft to the Himalayan foothills, Lukla, where we start our trekinto the Khumbu region. 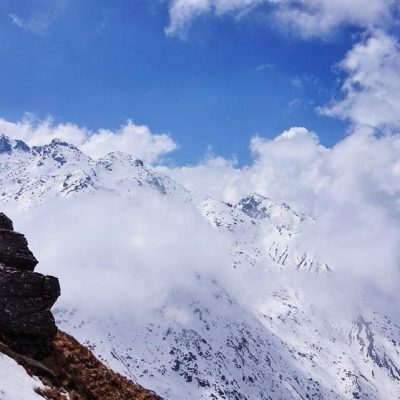 The views from the plane are amazing and providing dramatic views of terraced hills and the distant Himalayan giants.After breakfast, trekking starts passing Chaurikharka Village, and makes a descent towards the Dudhkosi Ghat (2,530m/8,300ft). The trekking trail follows the precise bank of the Dudhkosi River until the camp at Phakding (2,652m/8,700ft) is reached. This Day we just have short walk and will rest for whole Day. Little acclimatize Day. Overnight at the lodge. Today we hike up towards a big hill and reach Everest View Point Hotel after crossing a tiny airstrip on Syangboche. We can take breathe with tea and coffee in this hotel and enjoy the views of Everest, Nuptse and other Himalayan peaks. 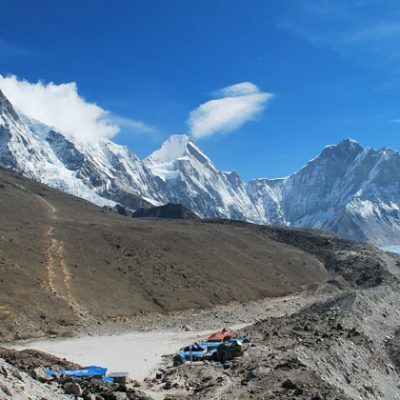 Then we lead you to Khumjung, probably one of the best village of Khumbu region. Visit Hillary School established by Sir Admund Hillary and also visit Khunde Village where a place of famous climber and big hospital running by charity. after breakfast , we begin today trek. The trekking trail leads to Tengboche. The wonderful view of Mt. Everest and Mt. Aba Dablam is breath stopping for you. These giant mountains seem to be so near from there. If you are lucky, Mani Rimdu festival in the monastery gives everlasting experience of the dancing of monks wearing masks. The festival is very important of the region. Stay overnight in a lodge in Tengboche. After morning ceremony at the Monastery, breakfast and proceed walking downhill to the bottom of the hill and the trail ascends to Kyanjuma. After easy walk to Namche steep downhill to Hilary bridge and continue walk to Monjo for overnight. Trek from monjo to Lukla – 5-6 Hours, Leisurely this morning, we trek back to Lukla. You can walk at your own pace and enjoying the lush green scenery around and passing through the incredible mountain scenery and local Sherpa Village. After arrival in Lukla and you will have time to stroll around the areas and guide will re-confirm your flight ticket and enjoy the last celebration dinner with your crew members and overnight at hotel. Flights from Lukla to Kathmandu are mostly in the morning due to the impact of weather and wild blowing at Lukla Airport. We take a Trans Himalayan flight back to Katmandu by small aircraft and transfer to hotel. Free time in the afternoon to be fresh up, in the evening we will comment about the trip and celebrate the farewell dinner together at Nepalese Typical Restaurant. Overnight at hotel in Kathmandu. Today is your free day. you can decide either you want go city tour or just relax in Hotel. The Day you can use incase the flight cancel from Lukla. it happend alot. Overnight Kahtmandu Hitel. Farewell Friend – Free time until transfer to the airport for departure. 3 Nights of-2 Star Hotel in Kathmandu with Breakfast . Meals In Trekking: 3 Times meals a day (Breakfast, Lunch and Dinner) during the trek. Tea and coffee during the trek. Trekking Permit: All necessary Trekking permit. Domestic Flight ticket: Flight ticket (KTM-LUK-KTM) / domestic airport tax. 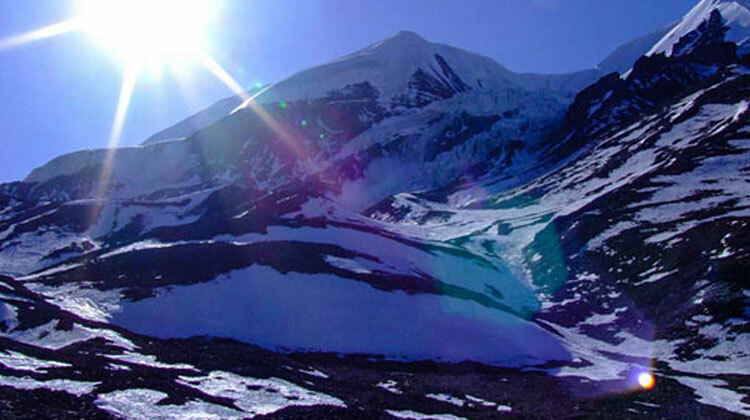 Accommodation in Trekking: All accommodations in lodges/tea houses during the trek. 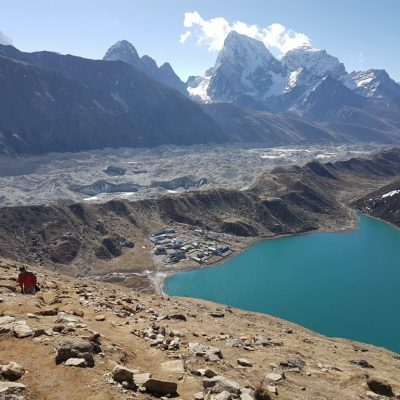 Trekking Guide: An experienced, helpful, friendly and Good English speaking guide and his well paid salary, food, drinks, accommodation, transportation and insurance as well as guide’s flight (Kathmandu/Lukla/Kathmandu). Company T-shirt and Trekking map.